Easter … it’s like a re-awakening of the year. At long last, after months of miserable winter weather Easter seems to herald the coming of spring once again with longer days and (hopefully) better, warmer weather. There’s a feeling that life is suddenly brighter, and finally once again you have something to smile about. Which means there couldn’t be a better time to start thinking about how to improve the appearance of your teeth and to create that lovely smile you’ve always wanted … and dental implants provide the most natural and satisfying alternative to missing or failing teeth you can have. Carisbrook is quite rightly recognised as the leading dental implants Manchester specialist, a status that is borne out by the fact that over 80 dentists from across the Northwest routinely refer their own patients to us for dental implant treatment. So if you have teeth that are missing or failing the first thing we do is not simply to recommend dental implants, but first of all we prefer to see if we can save them with our range of restorative dentistry treatments that can include root canal therapy or crowns. If, however, together we decide that dental implants are the best solution then the first action we will take will be to scan your gums and jaw to ensure that they are healthy and suitable for implant treatment. A good idea is to take a look at our Dental Implants Manchester page where we explain everything you will want to know about them. We have even included a short video that demonstrates the procedure involved. Depending on what is required we can fit a single implant, or if needed, we can replace a number of teeth, or even a whole jaw. One of our dental implants Manchester specialists is Dr Idrees, and it is he who designs and makes the replacement teeth right here in our clinic to exactly match the shape and shade of your natural teeth. Thanks to his experience and skills people just won’t be able to tell the difference between your natural teeth and your new implants. That’s why your new smile will be everything you hope for. New patients sometimes comment that they are concerned about the cost of their implant treatment but we can assure them that thanks to our 0% finance plan that enables them to spread the cost, dental implants are far more affordable than you may have thought. We’ll be happy to discuss these options with you when you come in to see us. Why not contact us now to arrange a consultation? 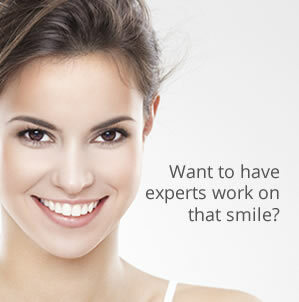 There couldn’t be a better time than right now because for a limited period we are offering 10% off implant treatments. Call us today on 0161 951 7295 or use the form on our Appointments page to book online. Why not come and join our award winning dental practice? Experienced Specialist Oral Surgeon and Implantologist required to join our long established private referral centre in the North Manchester, due to a departing colleague. Suitable candidates must have extensive oral surgery experience, including hard and soft tissue grafting and implant placement. We are looking for someone with excellent communication, clinical and decision making skills to work within a multidisciplinary team.